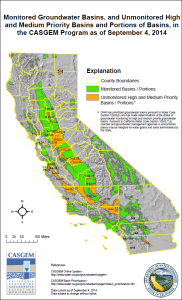 California is facing a groundwater crisis. The Central Valley alone has lost about 41 million acre-feet of groundwater since the 1990s. Three bills currently on Governor Brown’s desk would, for the first time, put in place comprehensive groundwater management regulations. CalCAN supports these bills as a necessary step forward to improve local groundwater management and provide greater certainty for agricultural and urban water users at a time of increasing water scarcity. The Department of Water Resources estimates that groundwater levels across most of the state have dropped 50 feet below historical lows. In many areas in the San Joaquin Valley, groundwater basins are more than 100 feet below previous historic levels. This overdraft partially results from Californians withdrawing groundwater faster than the rate of natural recharge. Many heavily used basins do not have records of the quantity of water withdrawn, where it was pumped from, or the quantity of remaining water. Although a number of locales do collect data on groundwater elevation and quality, that information is typically not easily accessible. Most other western states monitor groundwater use and require data to be made publicly available. Overdraft and lack of available data are not the only groundwater management issues needing California’s attention. As part of routine drinking water testing, the Department of Public Health (DPH) has found contaminant levels violating state and/or federal safe drinking water standards. The DPH has reported nitrate contamination in 921 public drinking water sources, mostly in areas where groundwater is the sole source of drinking water for the community. Communities are increasingly finding that pollution has reduced the availability of safe drinking water from groundwater sources in many parts of the state, according to the Legislative Analyst’s Office. 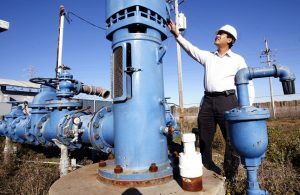 Considering over 43 percent of Californians rely on groundwater supplies for their drinking water, these reports of contamination are cause for concern. Historically, runoff from rain and snowmelt has compensated for the State’s over allocation of surface water resources. Today, with nearly 82 percent of the state facing extreme drought and water demands reaching an all-time high, the solution to the water crisis will not be found in extra rainwater. During normal years, groundwater supplies between 30 and 40 percent of California’s water. But when surface water availability is reduced during droughts, groundwater can account for closer to 60 percent of water used statewide. California farms and cities are expected to pump more than 20 million acre-feet from aquifers to cope with this year’s drought, which equates to more than all the surface water diverted from the state’s rivers and streams. Climate change threatens to further exacerbate California’s significant water woes. The California Natural Resources Agency highlights some of these risks in their report: Safeguarding California. The report points to increasing temperatures and variability in the hydrological cycle, including flooding and drought, as major risks to groundwater use and overall water quality. While the impacts of climate change are expected to intensify California’s reliance on groundwater, the state’s water supplies are expected to decrease substantially. Increasing temperatures will lead to earlier and reduced melting of snowpack, which in turn reduces the quantity of available groundwater. 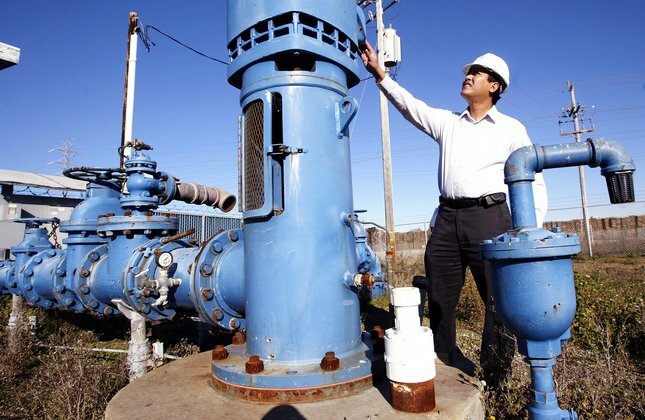 The Legislature recently passed a package of bills that establish new standards for groundwater management, for the first time requiring local governments to monitor and regulate groundwater usage. SB 1168 and SB 1319, authored by Senator Pavley (D-Agoura Hills), and AB 1739, carried by Assemblyman Dickinson (D-Sacramento), require local agencies to develop sustainable groundwater management plans. Under the bills, local groundwater sustainability agencies would be created for high and medium priority groundwater basins, and management plans would be submitted by 2020. Only if the local agencies were unable to achieve the sustainable management of groundwater, as described in the legislation, would the state step in. This package of bills sets clear standards for groundwater management, creating greater certainty for agricultural water users. Scientists and some farmer leaders have come out in support of the groundwater legislation. While all of agriculture is threatened by climate change, it is the least-resourced farmers who are inevitably the most vulnerable. Corporate producers may enjoy the historically laissez-faire nature of California’s groundwater supply because many can afford to invest in drilling deeper wells to extract water from dwindling reservoirs. But most family farmers, who comprise a majority of the state’s 78,000 agricultural operations, cannot afford to simply dig deeper for water. For these reasons, CalCAN supports these bills’ logical approach to the urgent groundwater crisis. These reforms are a prime example of the forward-thinking policy actions that must be taken to prepare for climate change impacts on California’s agriculture and natural resources. Groundwater regulation has been a difficult pill to swallow for everyone involved, but it is a necessary step to securing our shared future.